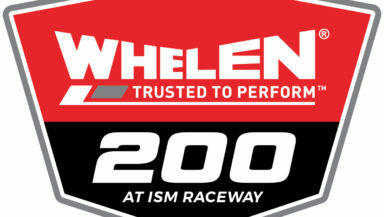 AVONDALE, Ariz. (November 10, 2018) – Ryan Reed started the 200-lap race at ISM Raceway in Phoenix from the 12th position and was a model of consistency throughout the race, until a bad set of tires affected the handling on his Ford. Reed rebounded, working his way back through the field earning a 12th-place finish in his No. 16 Drive Down A1C Lilly Diabetes Ford. Reed made it to the final round of knock out qualifying to earn a 12th-place starting position at the newly reconfigured ISM Raceway. Over the first 45-lap stage, the No. 16 was tight off the corners and needed more grip. Reed closed out the stage 13th before visiting pit road for four tires, fuel and an air pressure adjustment, gaining multiple spots on pit road with the help of his pit crew. Reed started stage two seventh and was a consistent factor in the top 10, closing out the segment 10th. With another fast pit stop, he gained three spots on pit road to take the green for the final stage seventh. It didn’t take long before the grip went away from the No. 16 and since no major adjustments had been made on the previous pit stop it was determined the set of tires were bad. Reed was able to visit pit road under caution to receive his final set of sticker tires to replace the bad set on lap 139. The pit crew earned him two positions and Reed took the green from the 12th position with just over 50 laps to go. Despite multiple cautions in the closing laps, Reed was able to maintain his position to cross the finish line 12th.